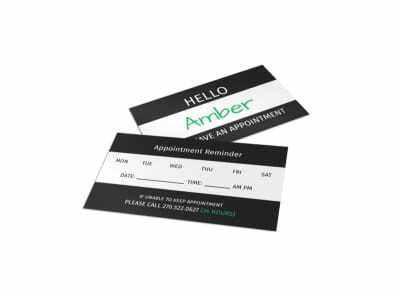 From dress fittings to scheduled maintenance, use reminder cards to help customers keep up with important appointments. Our retail reminder card templates make designing customer reminder cards a fast and easy task. Just upload your photos, graphics, logo, or other elements using our online editor. Manipulate your design with a few clicks of the mouse, choosing your favorite colors, fonts, and more. Once your design meets your expectations, print your reminder cards from your own office, or trust us to do the printing for you using high-quality materials.